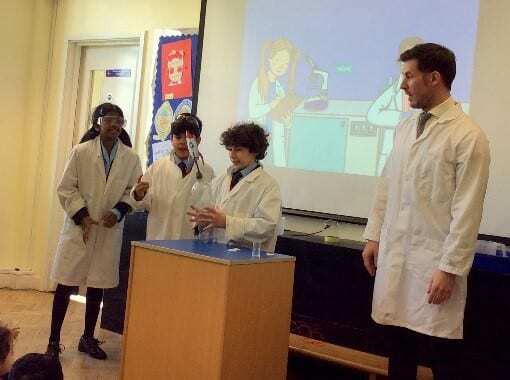 This week, children throughout the school have been going on scientific journeys as part of British Science Week. The week started with an assembly from Mr Venn and his Science Prefects, who demonstrated different ways that rockets could be propelled. Children have been carrying out different activities throughout the week such as researching facts and figures about the Chanel Tunnel, designing rovers to travel to Mars, building radio towers in the middle of the desert and investigating how different spinners fall through the sky.